Catholic Health Services of Long Island (CHS) is an integrated health care delivery system with some of the region’s finest health and human services agencies. CHS includes six hospitals, three skilled nursing facilities, a regional home nursing service, hospice and a multiservice, community-based agency for persons with special needs. Under the sponsorship of the Diocese of Rockville Centre, CHS serves hundreds of thousands of Long Islanders each year, providing care that extends from the beginning of life to helping people live their final years in comfort, grace and dignity. New Ground is a unique agency committed to educating and empowering families and veterans who are caught in the vicious cycle of homelessness. We recognize that the key to resolving homelessness is not only to help those who are homeless now, but also to prevent it in the future. Our goal is to assist these families and veterans in breaking the cycle of homelessness, allowing them to function independently, for generations to come. Russo Law Group, P.C., Long Island’s Signature Elder Law, Special Needs and Estate Planning Law Firm with offices in Garden City, Islandia, Lido Beach, and Manhattan, New York has championed the rights of seniors and people with special needs since 1985. At SLCD, our mission is to identify children with language and communication disorders early and provide educational programs which will prepare them for a world filled with words, sentences, stories and messages. Language is a symbol system; it provides the means to reach out to the world. It is the most important skill that a child must learn early in life. Language provides the foundation for socializing, reading, questioning, writing and thinking. TAPA believes that every child has strengths that can be used as a springboard to learn new skills which can enhance each child’s personal sense of accomplishment. At TAPA, the teachers use a wide variety of teaching methods to accommodate all styles of learning. 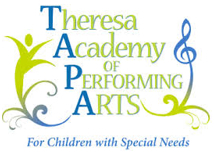 The primary goal of TAPA’s classes is for the children to experience the joy of dance, drama, art, and music. There are many other benefits to the children who participate including improvement in coordination, overall fitness, focus, listening, balance, self-esteem, self-expression, rhythm, and musicality. Walter the Vault is here to teach kids about money. You will learn that money has value and is a medium of exchange for things you want and need. You will also learn consumer skills and banking skills. Finally, I will teach you how to make responsible and informed decisions about your money.